Included are drums (samplers, synths and classic machines); effects (both studio stalwarts and creative tools); samplers, ROMplers and exotic instruments; useful utilities; amp sims (tubes, valves and transistors); a huge selection of synths and much more! It all comes with Computer Music Special 44 (magazine + DVD out now!). With this top-quality collection of instruments and effects - ranging from the truly unique to the amazing, outstanding and downright outlandish - you'll have everything you need to re-inspire your sessions, fill a gap in your setup or get off the beaten track to discover some unique sounds. Heading up the synth list CM brings you the world-exclusive debut of R.I.P. from Krakli Software, which has already received glowing praise from pro producers. If you're new to the computer music world, the included Plug-In Startup Guide will get you off and running with the collection, and inside the magazine you'll find a comprehensive guide to all the featured plug-ins, including tutorials and tips for getting the most out of them. Stockists: selected WH Smith, Borders, Barnes & Noble, Chapters and independent newsagents, or order online from the My Favourite Magazines shop. 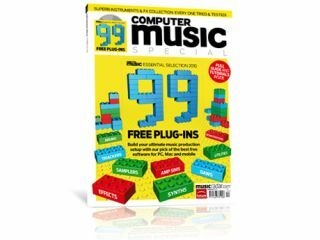 Subscribe to Computer Music Specials and get six issues per year delivered to your door for up to 35% less than the shop price! Click here to subscribe today.